Is the digital afterlife industry heating up? Perhaps so. Last week Everplans secured $2.075 million in a second round of seed funding, bringing their total seed funding to $3.45 million to date, including a first seed round of $1.375 million that closed in June 2013. I’ve mentioned previously that I’m skeptical of services which require advance planning, as I do not believe many consumers will choose to spend time and money on these services. Interestingly, the Everplans release mentions a desire to improve the experience for consumers and expand beyond the consumer vertical into various enterprise sectors. My skepticism aside, Everplans certainly has my attention and the attention of investors. I’m legitimately curious about their enterprise plans and how they could solve the advance planning problem by potentially having a company foot the bill for their clients or employees. I’m going to wait and see, but I think this looks promising. Hi Evan, I agree with your skepticism and here’s the fundamental problem with services like this. The vast majority of people do not expect to die any time soon, particularly prospective users of this service. Let’s assume that most people under the age of 40 feel that they have potentially another 50 years to live, what are the barriers to me using this service? Firstly would I realistically sign up to a payment plan that I need to continue for another 50 years which provides zero utility until the day I die? Will this company still exist in 50 years? will the technology that makes it work still exist in 50 years? Would I be better off waiting say, 20 years, and then re-assessing the options. The answers to each of these questions is obvious, so that’s 99 percent of the under 40 population that are ruled out of using a service like this. However, if there is a way of providing genuine usefulness during the 50 years before I die, then there may be some potential. Tim, you’re exactly right. My skepticism comes from this very fact, which I outlined in a post called “Solving the Digital Afterlife Problem.” Steve Jobs reportedly said that services like Dropbox were a feature, but not products in and of themselves. Similarly, I believe that inheritance features, should be built into the products. Google is doing it. Facebook is headed that way. 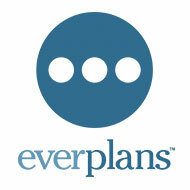 Perhaps Everplans is thinking just that with their enterprise offerings.